Welcome to Little Heath-on-sea circa 2,500,000 years ago! There is parking for one or two cars at the GZ. As with all Earthcaches there is no physical container to find so no need to hunt for one. The fenced off pit is a Site of Special Scientific Interest (SSSI) so please do not cross over the fence you can see all you need from the edge! Around 2,500,000 years ago this area where you are standing, was on the Western coast of the North sea! In the pit you can see 3 layers, the lowest of which is made up of gravel. This was laid down during the beginning of the Pleistocene Period (between 2.5 million to 11,700 years ago). The next layer up is sand (a reddish-brown) that was deposited in intertidal areas when the shoreline was slightly higher and further west. In this layer you maybe able to see grey clay areas, more on these in the questions! The top most layer is gravel once again, which was laid down more recently in a different environment. At this time it was much colder and the area was covered by tundra. Tundra is constantly freezing and thawing and this built up a second layer of gravel penetrating the sand level while it was saturated with melt water. In more recent times the gravel and sand was extracted for metalling the nearby roads and during the First World War it was used for filling sand bags. The area is open to the public 365 days a year and is a very pleasant place to walk and enjoy the managed woodland. Now on to the cache! 1. 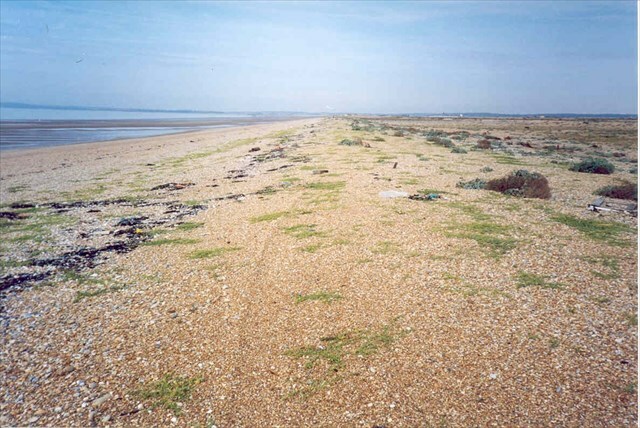 What modern beach is similar to Little Heath 2,500,000 years ago? 2. How is the afore mentioned grey clay layers formed? 3. How many years ago was Little Heath covered in tundra? 4. From your observations of the gravel layers: What type of stones make up the layers? describe the shape they tend to be? Explain the geological process that made them this shape? 5. How deep do you estimate the pit to be? Remember this site is of special scientific interest so please stay on the right side of the fence! Once you have the answers then email us though our Geocaching profile which can be found here. Please do not give the answers in your online log as this will end with your log being deleted, this is to stop armchair logging as the idea is to visited this interesting location not just get a smiley on the map! If you don't get a response straight away then go ahead and log your find and we will send you an ok ASAP. Happy Caching! This cache has been placed With the kind permission of The National Trust Ashridge. Gurer vf ab obk gb svaq cyrnfr ernq gur qvfpevcgvba!